Welcome to the Mobile Bay Times, an e-zine devoted to the people, places, issues and history of the area around Mobile Bay. Click to: to Mobile Bay Times. Mobile City Councilman Ben Brooks is likely to run for state Senate or a circuit judgeship in elections next year. Discovering Alabama will celebrate its 20th year on public television this year with a reception in Fairhope Saturday. Mobile not only Southern city with a downtown condo project. Gainesville Greens, a $39 million project, will pack 134 condominiums, three restaurants, stores and office space into a high-rise complex. The Mobile County Democratic Executive Committee will hold its regular meeting Saturday, Oct. 15 at 10 a.m., according to local party chairman Bob Beckerle. First Survivor winner may not survive encounter with the IRS. Katrina's Aftermath: What will it take to rebuild the Big Easy. 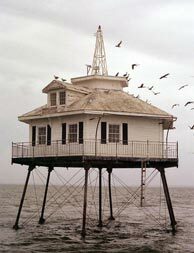 National Association of Counties announces plan to help rebuild the Gulf Coast. Chiquita may relocate headquarters: Atlanta to become top banana? Crews scrambling to salvage downed timber, prevent wildfires. Facts and figures on Thanksgiving Day. Plastic surgeons play pivotal role in healing soldiers injured in Iraq. Group says U.S. shortchanging prostitutes all over the world, threatens lawsuit. Orlando businesswoman displays Americian flag, cited for violating sign ordinance. Economic freedom almost 50 times more effective than democracy in preventing war. Mapping the risks of hurricane disasters. Beyond Delay: The 13 most corrupt members of Congress. High gas prices a boon to bus ridership. FAA 'heartless,' controllers lament working for an uncaring boss. Credit card loan delinquencies reach record high in second quarter. Postal service releases five-year plan. Nebraskan soldiers rescue $50-$100 million from New Orleans floodwaters. Disaster housing remains Alabama's No. 1 priority. Africa Action's take on debt. Hurricane Katrina could cost 400,000 jobs, say economists, but most will return by 2006 with reconstruction efforts. 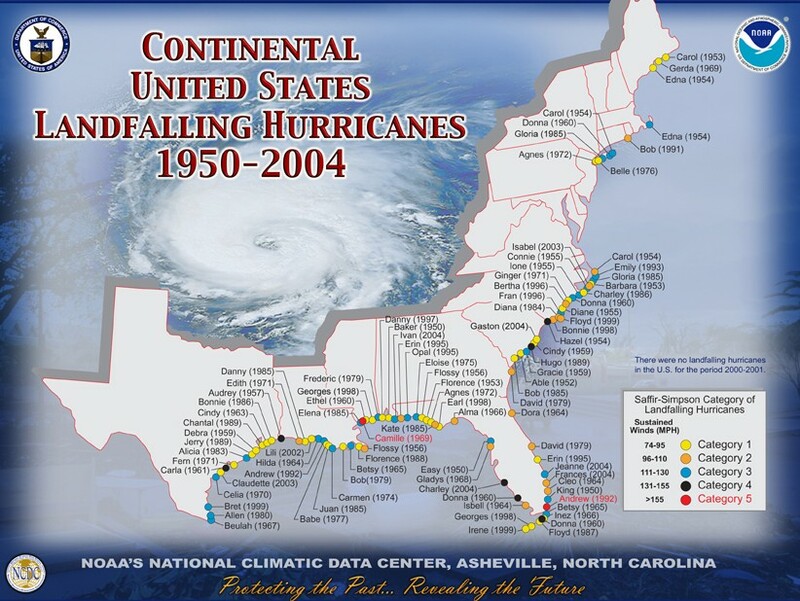 Map displays location and intensity of hurricanes that crossed the U.S. coastline between 1950-2004. Federal reforms hamper state political party fund-raising efforts. Census Bureau awards $500 million contract to capture and standardize 2010 census data. Louisiana solons recovery requests 'irresponsible,' says taxpayer watchdog group. Guantánamo hunger strikers critically ill. The Mobile County Commission expects to name a new lead attorney next Tuesday. A New Tax Framework: A blueprint for averting a fiscal crisis. Mobile Bay Times articles published before May 1, 2005.